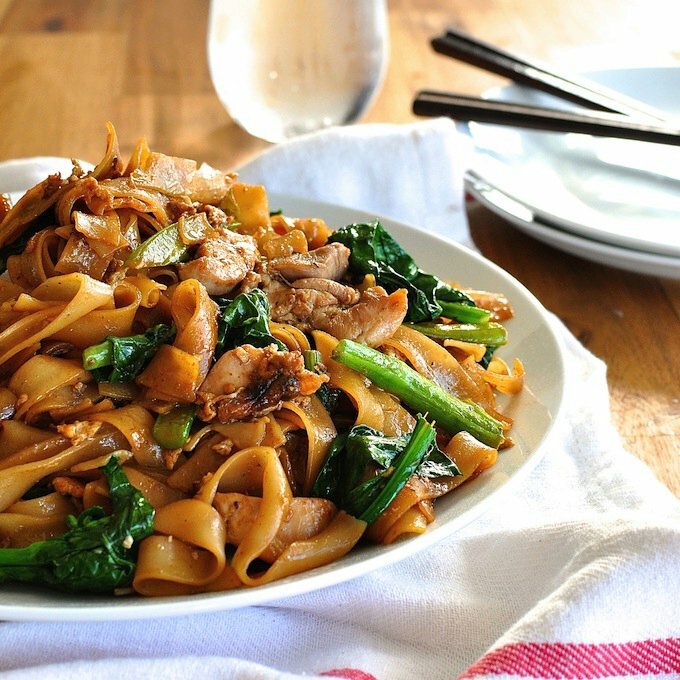 Successfully saved Thai Stir Fried Noodles (Pad See Ew) to your Calendar. You can also save the ingredients to your Grocery List. Pad See Ew (which means Stir Fried Soy Sauce noodles) is one of the most popular Thai street foods. It's amazing how fast it comes together - once the ingredients are ready to throw into the wok, it takes less than 5 minutes to cook. Traditionally, this is made with Sen Yai which are wide, thin rice noodles. But these are only sold in Asian stores where I live (and I don't have one nearby) so I've made it with wide rice stick noodles which are readily available in supermarkets and it is a pretty close substitute. I've eaten enough Pad See Ew at Thai restaurants to assure you that there is no compromise on flavour! How to Make Your Gluten Free Baking Powder - Easy!